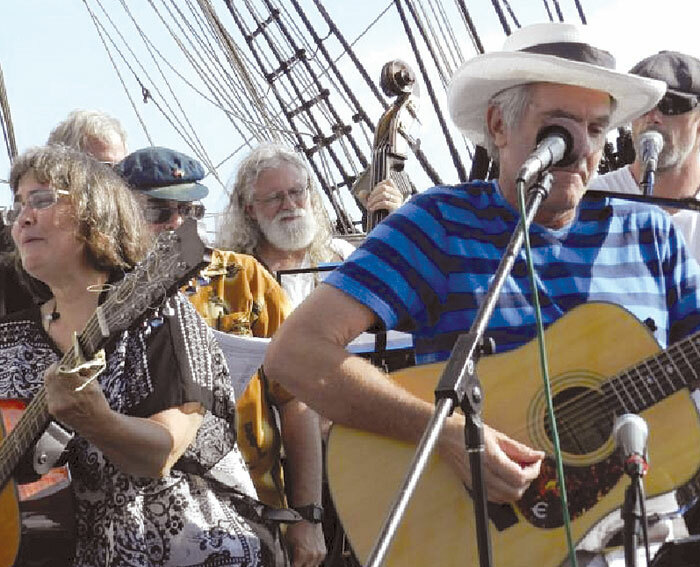 SAN DIEGO — The Maritime Museum of San Diego and San Diego Folk Heritage will present the 21st annual Sea Chantey Fest Aug. 4, featuring live performances from national, regional and local musicians aboard the museum’s 150-year-old ship Star of India. Tickets are free with paid museum admission. Traditional sea chanteys, or songs of the sea, recount the adventure, romance and joy, and sometimes tragedy of a sailor’s life, in music. This year’s musical lineup includes The Jackstraws at 11 a.m., Jeff Pekarek at 11:55 a.m. and 4:15 p.m., Raggle Taggle at 12:30 p.m., John Kraus at 1:25 p.m., Panamerican Shanty at 2 p.m., John Kraus and the Goers at 3:20 p.m. and a group finale at 4:45 p.m.
During the Sea Chantey Fest, the Star of India crew will demonstrate various shipboard skills, accompanied by traditional sea chanteys — and visitors will have a chance to join in and raise the sails of the historic ship. Adult museum admission is $16; children 12 and younger are $8. The museum is located on the North Embarcadero, at 1492 N. Harbor Drive. For more information, visit sdmaritime.org or call (619) 234-9153.